Looking for illustrated books? Biblio.co.nz hosts hundreds of of the finest online book stores and booksellers, including specialists in illustrated books. Use the list below to locate a specific specialist bookseller or book store near you. Or, use the form below to search the inventory of all booksellers who specialize in illustrated books. We are a small and friendly family bookseller who specializes in interesting first editions and rare books. We stock new and used books. 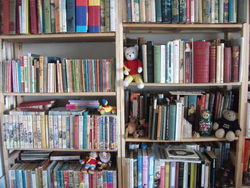 Our stock includes many children books by authors such as Beatrix Potter, A.A. Milne but also some literature. If you can’t find the book you’re looking for on our listings please contact us and ask, as we have more books we haven’t yet listed. We also buy rare 1st edition books and specialise in Ian Fleming hardback books. We are based in Birmingham West Midlands UK. Thank you for visiting A&D Books.We maintain a large inventory of rare, used, new, out-of-print, and signed books with a specialty in all forms of photographic literature: monographs, photographically illustrated books, exhibition catalogues, anthologies, periodicals, manuals, and technical brochures. We also carry a selection of photography-related ephemera such as gallery invitations, advertising, posters, catalogues, brochures, and various promotional items. In addition, we have many volumes on art, design, architecture, and illustrated children's books. Our inventory can be searched by keyword or browsed at your leisure. Keep in mind that not only are items added daily but we also have extensive stock not listed, so we would be happy to hear from you with any wants you may have. Currently, we do not maintain an open store, and we conduct all of our transactions by internet, email, and personal contact. Call us any time at 973-762-3343 or email us at [email protected] with any questions or comments. We look forward to serving you. 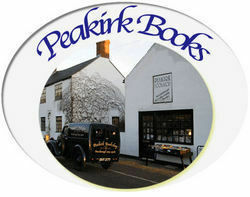 We are antiquarian booksellers established in Gloucestershire, England for over twenty years. We have general stock and specialise in early illustrated and children's books and pop-ups. We are members of PBFA. Aleph-Bet Books is owned and operated by Helen & Marc Younger. The business was founded by Helen in 1977 and joined parttime by Marc in 1980 and fulltime in 1985. We have been fully computerized since 1983 with our entire stock in a database that enables us to serve the individual needs of our clients extremely efficiently. VISIT: We are not an open shop, but we do welcome visits by appointment. Our entire stock of nearly 9000 items is on display in an office portion of our house. Pound Ridge is located 30 miles northeast of New York City between Bedford, NY and Stamford, CT and quite near New Canaan CT.
Amaranthine Books is a small and independent publisher from Croatia dedicated to creating special editions for great books so they could have the form that they deserve.We create wonderful illustrations, use high quality materials, and often utilise handmade details when working on our books to make truly special editions. Antiquarian bookshop specialized in literature, philosophy and art. The antiquarian bookstore was founded 1993 and is specialised in: architecture, art, bibliology, bibliophile books, children's books, erotica, first editions, history, illustrated books, judaism, photography, philosophy, psychology, signed books, dance of death, typography. Ars Libri maintains the largest stock in America of rare and out-of-print books on art. Founded in 1976, it has an international reputation as a source for scholars, collectors, artists, and everyone else with an interest in the visual arts. Ars Libri covers all periods and all fields of art history, from antiquity to the present, including architecture, archaeology, photography, and the decorative arts. We are a family-run business in the city of Leicester. We have over 10 years experience of collecting and selling a range of genres, specialising in iconic modern fiction and children's titles. 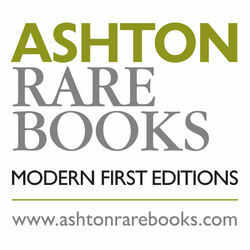 Please feel free to browse our website: www.ashtonrarebooks.com. All items are fully described and if any reasonable discrepancy is noted on arrival to the customer, a full refund including payment for return to us will be made. Items over 250 may be paid for in instalments subject to agreement- however, all books remain the property of Ashton Rare Books until the full balance has been paid. Please contact us at : [email protected] if you are looking for a particular title or require further assistance.We are members of the PBFA. Located in Phoenix, Arizona, our store has a comfortable ambiance surrounded by antique and modern oak bookcases, decorated with vintage and collectible bookends with lots of room to roam with good lighting. Friendly, knowledgeable professionals to assist you with questions and requests. Want lists actively solicited and aggressively serviced - we make every effort to find the book you want! Helping you build your collection is important to us - we seek long-term associations with our collectors, searching for hard-to-find items and upgrades to their collections and assisting/advising in their preservation needs. 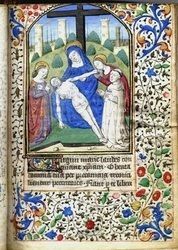 Come and peruse our holdings. Bromer Booksellers specializes in rare and beautiful books, as well as highspots of literature. Owned and operated by Anne and David Bromer, who have been in the business of fine books for nearly fifty years, our shop carries a range of important private press books, designer bookbindings, literary first editions, illustrated books from the fifteenth century to the present, children's books, and miniature books. We are located at 491 Davenport Road, Toronto, Ontario in our little house of all sorts in the shadow of CASA LOMA, Toronto's only castle. E.P. Dutton, New York, 1929. Cloth and Boards. Book Condition: Fine. No Jacket. E.H. Shepard (illustrator). 1st Us Edition. Octavo. One of 350 copies signed by Milne and Shepard. Half Green cloth with peach coloured decorated boards with vinyl protector. Housed in decorated matching cardboard box. The box shows wear and soiling but the book is fine. Milne's selection of the best of the Pooh books. Signed By the Author and Illustrator. Robert Laurie and Jason Whittle, 1798. Half Leather. Book Condition: Very Good +. No Jacket. Ellis and Plamer (illustrator). 8vo. Subtitle reads 'Devided into Provinces; with its sub-divisions of Counties. Baronies. &cc. Shewing their Boundaries, Extent, Soil, Produce, Contents, Measure, Members of Parliament, and Number of Inhabitants; also the Cities, Boroughs, Billages, Mountains, Bogs, Lakes, Rivers and Natural Curiosities Together with the Great and Bye Post Roads. The whole taken from actual Surveys and Observations By Bernard Scale, Land Surveyor and beautifully engraved on 78 Copper Plates by Messrs. Ellis and Palmer'. Brown leather with marble paper to boards. Maps in colour. Rubbing and a little scuffing to boards and wear to leather at extremities, a little darkening to paper to boards towards spine, some tanning to end papers at corners and near gutter, a little foxing to interior, very faint offset to adjacent pages from maps. David Brass Rare Books, Inc. specializes in buying and selling only the finest examples of English, American and European Literature, Children\\\'s Books, Color-Plate Books, Illustrated Books, Early Printed Books, Private Press Books, Fine Bindings, Original Artwork, Manuscripts, High Spot Modern First Editions, Rare Books and High Spots. We offer out of print, scarce and rare books, prints and photographs. Our books are mainly in the areas of architecture, fine art, exhibition catalogs, Chinese and Japanese art, decorative arts, modern design, illustrated books, textile design, fine press and typography. Large selection of Art Books, Catalogues and Guides and other various books illustrated by Irish & British artists. Established in 2003, E M Maurice Books has been selling rare, collectible, out-of-print and obscure children's and illustrated books by catalog, online and at trade shows around the Northeast. We have high standards for condition and make every effort to describe condition and edition accurately. We rarely sell ex-library copies and on the rare occasion we do, it will be stated clearly in the description. Our quarterly digital catalogs include items which are offered to established customers before being offered online, please inquire if you would like to be added to our digital mailing list. We never sell our mailing list and save all customer information in a safe digital environment. Early Printing, Literature and Illustrated Books.. By appointment only. We are now an "internet only" business. Our experience is 14 years in the book trade, much of that as a walk-in shop. We offer courteous, efficient and knowledgeable service. Our inventory will be of interest to the general reader, scholar or the most discriminating collector. Located just accross the Golden Gate Bridge in Marin County, California - the Heldfond Book Gallery, Ltd. is one of the oldest and most esteemed Rare Bookstores on the West Coast. 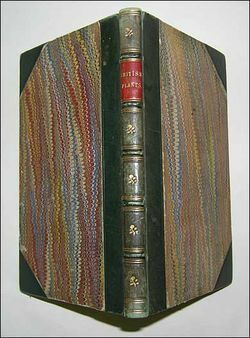 Specializations include: Illustrated Books in all disciplines, Fine Bindings and Sets, Important Literary First Editions,Fine Arts, Collectable Children's Illustrated Books, Illuminated Manuscripts and Incunabula,Rare Aviation and Maritime as well as a consistently superb inventory of General Antiquarian Materials. Homeward Bound Books is an online bookshop operated from our home in the Municipality of Port Hope, Ontario. We specialize in children's and illustrated books – collectible and reading copies; and local histories, particularly for Ontario. We also stock a selection of collectable mystery fiction, ephemera, and any other titles we find interesting or unusual. We have thousands of books yet to be catalogued. So, please contact us to be added to our client list, and we will let you know when we have books of interest to you. It is our pleasure to send books homeward bound -- from our shelves to yours. Our focus are rare and antiquarian books, mainly in the fields of Science, Illustrated, Voyages & Travel and Maps and particularly enjoying Spanish Americana and Atlases. Although we keep a small selection of the books we like, we are not stock based dealers, we think of ourselves more as private dealers, and finding and helping collectors and institutions build or enhance their collections is our main goal. Visitors to the main auctions and fairs �with obvious presence to those where we consider necessary to be-, buying for clients is what defines us best. Feel free to write us, requesting more pictures, further information, advice -on beginning, continuing or disposing a collection-, or simply to order, we are happy to help with any of those. James M Pickard (Rare Books) is proud to be a full member of the Antiquarian Booksellers Association (ABA), the International League of Antiquarian Booksellers (ILAB) and The Provincial Booksellers Fairs Association (PBFA). Keswick Bookshop: We have a bookshop in Keswick in the English Lake District with antiquarian and secondhand books on most subjects and a selection of maps and prints. I work from my home and I have about 20,000 volumes in stock. I have been in business for about 40 years. Founded in Brooklyn and now located in Rutland, Vermont. At Kabi Books, we buy and sell out of print, rare, unique and limited edition works on paper. We offer appraisal services and can seek out specific books by request. Offering Children's rare, used, and out-of-print books. Booksellers for more than 15 years, offering a general stock with an emphasis in Special Press, Art and Photography, Literature and Americana. We prided in our high level of customer service—if you aren't satisfied with either the book or the service you've received let us know about it so we can make you happy. Additionally, we offer a wide range of bookbinding and book repair services. Check us out atfacebook.com/michaelpyronbookbinder.Given the nuances in book repair and binding, I can offer a close estimate based on images of your book, but will need to have book in hand in order give you a firm estimate. And as always, we buy books! Antiquarian bookselling firm specializing in Continental early printed books and manuscripts. We sell rare and second-hand books on a variety of subjects including: modern firsts, crime fiction, children's, art, topography, travel, illustrated. I am an independent bookseller and I have sold books online since 1999. My primary focus is non-fiction - including books about books, books about art and collectibles, and illustrated books. Payson Hall Books began in 1978 as an open shop. Since 1996, we are strictly an internet business. Our books number about 1000, including pamphlets. We also sell rare and unusual original prints and maps. For years an open shop in the Boston neighborhoods of Roslindale and West Roxbury, now by appointment only and back in Roslindale. We carry a range of rare and out of print books with strengths in literature, cookery and early printing. We are members of the ABAA and ILAB. We are situated in North Norfolk & specialise in childrens books & John Clare the poet. We also carry a large general stock. 25,000+ books. 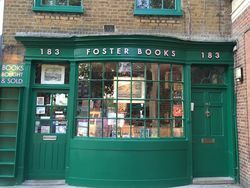 A shop in one of the last remaining bookselling enclaves of London, with a carefully selected stock of modern first editions, art and illustrated books, travel literature and other subjects. Known for books in fine condition. Specializing in photography and childrens' literature. Most trading is done from the above address which is our home. We also have a show room close by always open at normal hours. Ripping Yarns no longer has shop premises but we are continuing to operate from the owner's house in North London. We specialise in children's and illustrated books but also have a large and wide-ranging general stock. Please contact us if you don't see what you're looking for as much of our stock is not listed online. Established in 1978, Riverrun was purchased in 2016 by Tom Lecky, former head of Christie's New York book department, and an auction veteran with over 25 years of experience in the field. Riverrun is an open retail store with about 30,000 books, specializing in literature, signed and inscribed books, early printed books, illustrated books, Americana, history, philosophy, fine & rare. Specializing in Pre-19th century European Imprints - History, Travel & Exploration; Theology, Philosophy & Occult; Illustrated books; Science & Medicine. We have recently closed our bookshop in Museum Street London, where we were based for 13 years. We are now postal and internet booksellers only. We specialize in 20th art and illustrated, in all languages. Beautiful Books Maps and Printed papers. 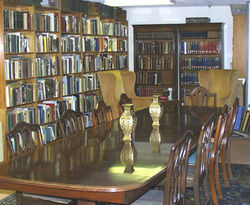 We are an open shop with a large general inventory of rare used and out of print books.We have been in business for over 30 years and welcome vistors to both our open shop as well as to our internet sites.Our specialties inclued Atlantic Province history and literature,early Canadiana, genealogy, illustarted books, Children's books, fine bindings, etc, etc. Used, rare, and out of print books. Dealing in fine books for 35 years. Retired Member of the P.B.F.A, and the WBA. In business for 38+ years to date, mainly working from home nowadays, and formerly exhibiting at Major London Bookfairs, and some Provincial ones within reach of the M4! View by Appointment Please, as I may be unavailable on the day you call. Happy to see customers but they have to be able to squeeze through the book aisles/piles! Unfortunately no wheelchair access. 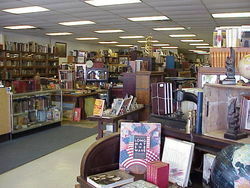 Swan's Fine Books offers quality used, vintage, collectible, and rare books. As an open shop we carry books on a wide variety of classic subjects, with specialities in Fine Press, Illustrated and Artist Books. Booksellers since 1986. 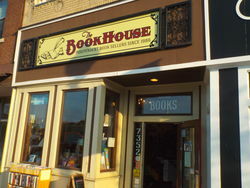 We have over 350,000 books in our open shop located in the St. Louis, Missouri area about 45,000 listed online. A portion of all proceeds support Second Chapter Life Center for young adults with special needs. The Book Lair deals in rare and/or interesting items in many fields with a focus on 19th and 20th century illustrated books, particularly those by Arthur Rackham, Edward Gorey and Gustave Doré. We are especially interested in unique cook books, children's books, Californiana, and miniatures. We also buy and sell ephemera, photography, manuscript material, diaries and letter archives, and business archives in any field. If it tells a strong story, we're interested. The Hermit's Book House is currently celebrating its 40th year of helping people explore the worlds in books and discover themselves. We have been selling antiquarian and collectible books on the internet since 2003. Our primary interest is in illustrated books, with the majority of our inventory being children's books. However we do include many 'non-children's' or adult books where the illustrations or quality of the book are particularly special. Within the children's books we carry many of the golden age illustrators, such as Louis Wain, Anne Anderson, Mabel Lucie Attwell and Kate Greenaway. We also have a good selection of the collectible publishers, such as Nister, Tuck, Warne and Nelson. If your 'collection interest' isn't found with the search facility, please contact us and we may be able to locate what you are looking for manually. The Little Book Store also holds a good stock of pop-up, movable and panorama books. Within this category there are some very nice Nister, Bookano and Kubasta editions. Whilst the majority of our books tend to be pre 1960's several of our pop-ups are newer than this, capturing some of the more modern paper engineering artists. The most important thing is that we have a genuine interest in all of our books and we are very keen to share this with you. It is extremely important to us that our customers are pleased with their purchases and the level of service that they receive from The Little Book Store. So we hope that you enjoy looking through our book catalogues and we would be delighted to provide you with that book or books that you are looking for. Trouve Books is a Web-Only used bookseller with 15 years experience in Internet bookselling. I started this particular business in 1981 although I have been dealing in books and works on paper since 1969. I exhibit at the E.T.C. book fair in London at the Royal National Hotel each month and have been doing so for the last 30 years. I have sold works on paper to many of the National Museums and Galleries in Britain and abroad including the Victoria & Albert Museum in London, the School of Art Museum and Galleries, Aberystwyth and the State Library of Victoria and the Baillieu Library, The University of Melbourne, Australia among others. My website at http://www.vincentgbarlow.co.uk specialises in works on paper and books illustrated with original graphics and artists prints. Business by internet and book fair only. Store room by appointment. 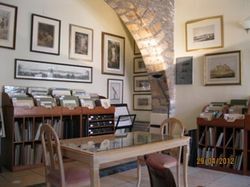 Also specializing in: Art Periodicals Artists Monographs And Books On Artists Illustrated Books Original Etchings, Lithographs, Wood-Engravings, Prints. Private Press Books And Ephemera Works On Paper By Graphic Artists. We are an Internet-only book business. We carry hard-to-find books in many categories including art, photography, military history, cookbooks, children's books, fiction, needlework, Americana, popular culture, and signed first editions. Warwick Books is a member of IOBA, the Independent Online Booksellers Association. We are an independent bookseller, established in 1994, who exhibit at numerous book fairs and antique shows throughout the year, including Christine Palmer Antique Expos in Portland, OR & Vancouver, WA, The Rose City Book & Paper Show in Portland, the Custer Antique Show in Spokane, the Seattle Antiquarian Book Fair, the Sacramento Antiquarian Book Fair, the Pasadena Book & Paper Show, and others. We specialize in 19th-century imprints, Technical Books, History, Children's Literature, and much more. In addition we offer appraisals for insurance and tax purposes.